Petr Cech admits it would be the ‘ideal scenario’ to bring down the curtain on his glittering career by lifting the Europa League with Arsenal. The 36-year-old announced in January that he would retire at the end of the season, having won no fewer than 14 major trophies with Chelsea and the Gunners. Having lost his place as first-choice goalkeeper at the Emirates Stadium to Bernd Leno, Cech has been relegated to playing in the cup competitions. 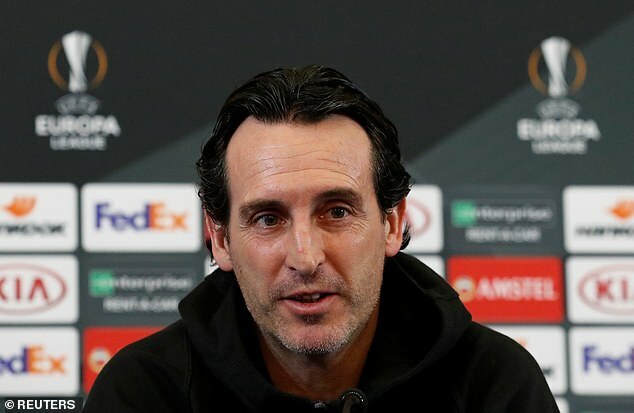 He will start for Unai Emery’s side when they face BATE Borisov in the first leg of their Europa League round-of-32 tie on Thursday night – and he already has his eyes on the final. ‘Of course that would be an ideal scenario for me to finish my career,’ he said. ‘We prepare every day for every competition and this is what we are aiming for, we try to win every game and progress step by step and as a club it is important for us to try and go as far as possible. 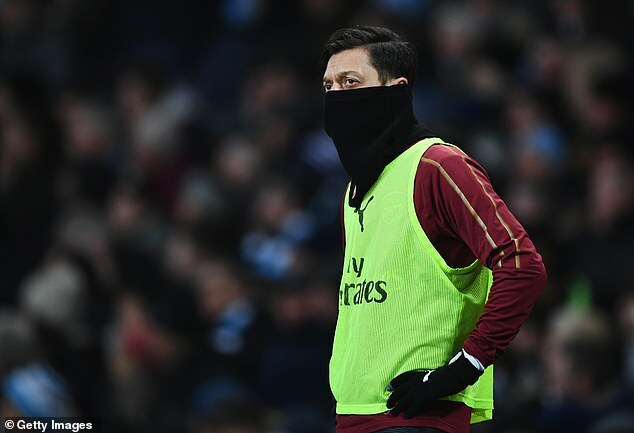 While Cech is expected to line up at the Borisov Arena, Emery was again quizzed on the continued absence of Arsenal’s highest-earner Mesut Ozil. The forward has found himself on the periphery of the Arsenal side under Emery and missed the weekend win at Huddersfield through illness. 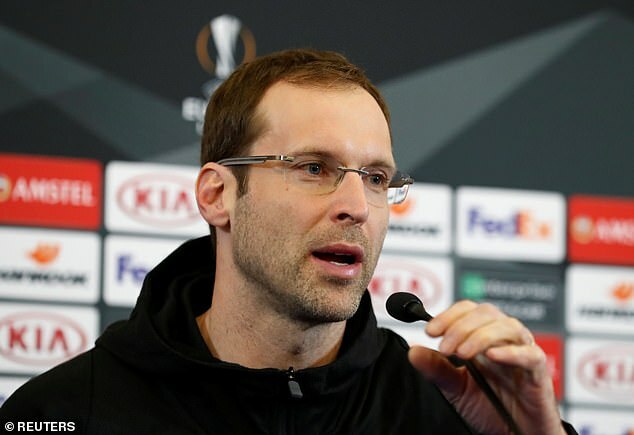 He was not part of the travelling party to Minsk on Wednesday evening, although Emery explained the decision was not a tactical one. ‘The players we didn’t bring in the squad were because Aaron Ramsey did not train with us and Sokratis (Papastathopoulos) only started training yesterday and today – I don’t think it’s enough,’ he said. While temperatures in Belarus hover around zero, Emery insists his side will have no excuses to get a positive result. ‘We played against Vorskla in Kiev when it was below zero snowing,’ he added.